This is the 5th year in which multiple management blogs have participated in reviewing the year in management blogging. Once again we have many great blogs reviewed. Each year a few blog authors stop, or nearly stop publishing, but each year more great new management blogs start. Here are links to the reviews that have been posted so far with the number of years each author has participated in the annual review. 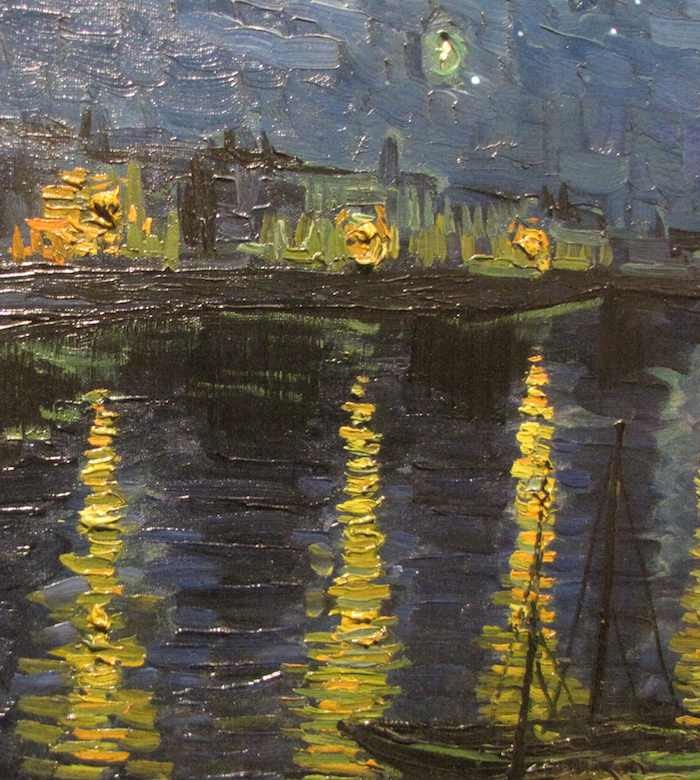 Close up view of a portion of Starry Night by Van Gogh. Photo by John Hunter at National Museum of Singapore. I find it a great benefit to use my RSS feed reader to keep up with all the great posts being published. Take the chance to add the blogs you discover to your RSS reader. Twice monthly management blog carnivals are published to keep up with great posts all year long. More reviews will be published during the next 2 weeks. This entry was posted in Carnival and tagged Carnival on December 26, 2012 by John Hunter. Pingback: Long Overdue Thank-Yous | Lean Blitz – Do it better.